Draft: 2003, Anaheim Angels, 3rd rd. Sean John Rodríguez … Married, wife's name is Giselle… Has two daughters, Sofia Emma (2/7/08) and Vanelope Grace (1/18/13), and two sons, Sean "Gogo" John Jr. (6/2/09) and Zekiel Cruz (4/3/14)… 2003 graduate of G. Holmes Braddock High School (FL)… Also attended Miami Coral Park High School… Earned 13 All-American honors in high school… His father, Johnny, has coached, managed and scouted for eight different organizations… His older brother, Robert, was a catcher in WSH's system from 2002-06 and is now the head coach and instructor at Total Baseball Academy in Clearwater, FL… Is passionate about autism awareness and research… His daughter Vanelope's name was chosen by her sister after a character in Wreck-It Ralph… Signed by: Mike Silvestri. Made his 8th career Opening Day roster and 3rd with PIT (also: 2015-16) l Defensively, made appearances at every position except pitcher and catcher l Collected 3 HR over a 5-game span, 4/11-21 l Appeared in his 1,000th career game, 6/2 at STL l Was on the DL from 6/27 (retro to 6/25) until 7/19 (right quadriceps strain); included rehab assignments to Indianapolis (AAA) and Bradenton (A) l Had a second stint on the DL, 8/7 (retro to 8/6)-23 (left abdominal strain) l Was designated for assignment on 8/29. Began season on Atlanta's 60-day disabled list recovering from left shoulder surgery, as a result of injuries sustained in an automobile accident on 1/28 in Miami (surgery was performed on 2/14)...Made his first rehab appearance on 7/1 with the GCL Braves...Played a total of 11 rehab games at four different levels before being recalled from rehab and reinstated from D.L. on 7/17...Made debut with Braves as the starter at third base on 7/17 vs. Chicago (NL)...Connected off Zack Greinke for a pinch-hit home run on 7/24 at Arizona...Also homered as pinch hitter (fourth career) on 7/28 at Philadelphia (off Hoby Milner)... Made a total of four starts in left field, three at third base, one at second base and one in right field while playing with the Braves... Was acquired by Pittsburgh on 8/5 in a deal for minor league infielder Connor Joe...Hit a walkoff homer in his first game back with the Pirates on 8/6 vs. San Diego; entered game in eighth inning and hit the game-winning homer in the 12th inning... Homered twice in his first four games with the Pirates...Made six starts at second base, six at third base, six at shortstop, five in right field and one in left field while playing with Pittsburgh...Also made three appearances in center field and two at first base...Hit .167 with five homers and eight RBI in 54 Major League games. Suffered a left shoulder injury in an automobile accident in Miami, Fla., on 1/28/17... Underwent surgery on 2/14/17 to repair the rotator cuff in his left shoulder... The operation was performed by Dr. James Andrews in Gulf Springs, Fla...In his second season with the Pittsburgh Pirates, set career highs in games played (140), batting average (.270, 81-for-300), home runs (18), RBI (56), on-base percentage (.349) and runs scored (49)...Was named the National League Co-Player of the Week for 9/12-18...Batted .414 (12-for-29) with five home runs and collected at least one RBI in seven of his eight games played...His on-base percentage was .455 and his OPS 1.386...Made 57 appearances (five starts) at first base, 29 (18 starts) at second base, 27 (19 starts) at shortstop, 17 (13 starts) in right field, 11 (six starts) at third base, 10 (three starts) in left field and five (no starts) in center field...Batted .296 (66-for-223) with 14 home runs, 46 RBI and a .920 OPS in his 64 starts...The Pirates went 32-31 in his starts...Hit his fourth home run in his 20th game on 4/30 vs. CIN (had a total of four HR in 2015)...Walked twice in the same inning on 5/27 at TEX...Became the first Pittsburgh player to do so since Jason Kendall on 9/25/01...Matched his career high (fourth time) with four RBI on 6/29 at SEA...Homered in back-to-back games, 7/8-9, and in three consecutive starts, 7/6-9...Connected off CIN's Ross Ohlendorf for his second career game-ending home run on 8/5...Played the final two innings in center field on 8/13 at LAD - his first appearance at that position since 7/20/10...Collected a career-high tying four RBI, 8/14 at LAD...Hit a pinch-hit, three-run homer off Jeanmar Gomez in the ninth inning on 9/13 at PHI, giving the Pirates a 5-3 win...It was his second career pinch-hit home run...Homered in both games of a doubleheader on 9/17 at CIN and in three straight games, 9/17-18...Started 18 of the final 19 games of the season and hit .338 (22-for-65) with five home runs and 13 RBI...Batted .333 with 6 HR, 17 RBI and a .982 OPS in 27 games during the month of September. Set career high in games played in first season with the Pirates...Made 102 appearances (12 starts) at first base, 16 appearances (seven starts) in left field, 14 appearances (eight starts) in right field, eight appearances (three starts) at third base, seven appearances (three starts) at second base and three appearances (one start) at shortstop...Made his sixth straight appearance on an Opening Day roster...Connected off Chicago's Kyle Hendricks for his first home run while starting in left field on 4/23 at PNC Park...Batted .333 (7-for-21) in 17 games during the month of April...Hit .471 (8-for-17) in 10 games from 4/26 thru 5/10...Hit his second home run on 5/16 at Chicago (NL); a solo shot off Jon Lester...Went 2-for-3 with a home run in his start at first base on 6/16 vs. Chicago (AL) and connected off Jose Quintana for his third home run and his first RBI since 5/16... His start at third base on 7/20 at Kansas City was his first start at the hot corner since 9/15/14 while playing with the Rays...Had season-high three hits while starting at second base on 8/19 vs. Arizona...Produced a .349 average in August...Went 6-for-7 during three-game series in St. Louis from 9/4-6, which included a three-hit game on 9/5 and a home run off Steve Cishek on 9/6...Made lone start at shortstop on 9/7 at Cincinnati and made two errors..Hit .333 (24-for- 72) in his last 52 games, dating back to 8/1...Hit .311 (19-for-61) while batting with two outs. 2015 postSEASON: Was the starting first baseman in the Wild Card Game vs. Chicago on 10/7, but did not receive an at bat. Spent his fifth and final season with Tampa Bay...Set career high in home runs and finished second on the team in that category...Also set career high in RBI, averaging one RBI every 5.78 at bats, the 10thbest ratio in the American League among players with at least 250 plate appearances...Had more extra-base hits (28) than singles (22); one of only five big league players with at least 50 hits to do so...Made 14 starts at second base, 14 at first base, 12 in left field, 11 as the designated hitter, seven at third base and one at shortstop...Also made two appearances in right field...Hit .292 on the road and .112 at Tropicana Field...Went 2-for-4 with a double, homer and career-high tying four RBI on 4/4 vs. Texas in his first game back from paternity leave; was still wearing his hospital bands from earlier in the day after wife Giselle gave birth to couple's fourth child (son Zekiel)...Hit into his second career triple play on 4/17 vs. New York (AL) and became the first player since Russell Martin on 9/27/11 to homer and hit into a triple play in the same game...Connected off Oakland's Luke Gregerson for a three-run walkoff homer in the 11th inning on 5/22...Had a three-run pinch-hit home run on 5/25 vs. Boston (first career PH HR)...Hit a 445-foot home run off Shawn Kelly on 7/2 at New York - the longest of his career and the longest blast at Yankee Stadium since Robinson Cano had a 446-foot shot on 10/1/12...Tied career high (second time) with four hits on 7/6 at Detroit...Hit .317 (13-for-41) with three homers and 11 RBI in 16 games during the month of July. Played in 94 games at five different positions and saw his first significant time in the outfield…appeared at LF (47 games, 30 starts), 1B (23 games, 17 starts), RF (8 games, 5 starts), SS (7 games, 3 starts) and 2B (5 games, 1 start)…only 4 of his 54 starts came in the middle infield, after entering the year with 82 percent of his career starts at 2B or SS... Committed only 1 error in 202 chances (.995 fielding pct.) across all five positions... Started 51 of the Rays 53 games vs. lefthanded starters, and started only 5 games vs. righthanders…15 of his 16 extra-base hits came against lefties…hit .252/.326/.419 (39-for-155) with 5 HR vs. lefties, and .225/.295/.250 (9-for-40) with no homers vs. righties... Made his fourth consecutive Opening Day roster with the Rays... Began and ended the season hitting well…in April batted .294/.368/.471 (10-for-34) with 1 HR, 1 3B, 1 2B and 6 RBI, and in September hit .259/.362/.556 (7-for-27) with 2 HR, 2 2B and 5 RBI…in between, batted .231/.297/.328 (31-for-134) with 2 HR and 12 RBI from May through August... Had a career-high 4 hits on July 1 at HOU, with a season-high 3 RBI... Homered in back-to-back starts for the first time in his career, Sep 15 at MIN (Pedro Hernandez) and Sep 18 vs. TEX (Derek Holland). POSTSEASON: Appeared in all 4 games of the ALDS vs. Boston and started Game 1 in LF against Jon Lester…his 2nd-inning solo homer, in his first at-bat, scored the first run of the series…it was his first career postseason homer…entered as a pinch-hitter the last 3 games. Played 112 games, including 87 starts (42-SS,27-3B, 17-2B, 1-DH)...was the Opening Day shortstopand began the year in a platoon at SS with Reid Brignac but played third base, second base and shortstop after Evan Longoria's injury on April 30...Hit .248 (33-for-133) with four HR and 14 RBI in his first 42 games (through May 22) but only .185/.266/.292 (31-for-168) with 2 HR and18 RBI in 70 games after that...When Longoria went down, Rodriguez hit .300/.329/.486 with three HR and nine RBI over his first 21 games in May, including 11 starts at 3B...from May 23 until Longoria's return on Aug. 7, Rodriguez hit only .164/.236/.276 with 35 SO in 53 games...from Aug. 7-20, hit .300/.364/.400 in 11 games but was optioned to Triple-A Durham on Aug. 20 when Luke Scott was activated from the 15-day DL...Sustained a right hand fracture in an off-the-field injury on Aug 26, after playing two games for Durham...went 3-for-6 with one HR and two 2B for the Bulls...recalled on Aug 31 when the rosters expanded and was placed on the 15-day DL...reinstated on Sept. 15 after spending 12 games onthe major league DL...appeared in six games (two starts, 1-3B, 1-DH) after his activation...Batted only .228 (23-for-101) with no homers against left-handed pitchers, after entering the season with a career .260 avg. (82-for-315) with seven HR vs. lefties...Committed two errors in consecutive games on Sept. 17-18, the first AL player with multiple errors in consecutive team games since DET Carlos Guillen, April 18-19, 2006 at OAK...Compiled a 10-game hitting streak May 2-12, the second longest of his career...hit .324 (11-for-34) in that span. Was one of six major leaguers to start at all four infield positions joining OAK Adam Rosales, OAK Andy LaRoche, HOU Matt Downs, PIT Brandon Wood and SD Alberto Gonzalez...it was the 2nd straight year he started at all 4 positions...he and Aaron Ledesma (1998-99) are the only two Rays to do it twice...Ben Zobrist (2009), Willy Aybar (2008) and Tomas Perez (2006) are the only others to do it in their Rays careers...Appeared in a career-high 129 games with 108 starts (49-SS, 41-2B, 16-3B, 3-1B)...started 64 of the final 78 games after only starting 44 of the first 83 games...For the second consecutive year, batted everywhere in the lineup except cleanup...Set a club record with 18 HBP, eclipsing the mark set by Jonny Gomes (14) in 2004...ranked 2nd in the AL behind CWS Carlos Quentin (23)...was his second straight season leading the team in HBP (8 in 2010)...Became the first player since STL Gregg Jefferies in 1993 to hit into a triple play and participate in one defensively in the same season...both were "around the horn" 5-4-3 triple plays...was at first base when the Rays pulled the 3rd triple play in history on Sep 27 vs. NYY...became the first Ray to ground into one on Aug 16 at BOS...Set career highs with 20 doubles, 38 walks and a .323 OBP...His .223 avg. was the 5th-lowest in the majors among players with at least 400 PA...his .179 (15-for-84) avg. with RISP ranked 6th lowest in the majors...Batted .273 (38-for-139) against left-handed pitchers but just .192 (45-for-234) against righties...in his career, has hit 48 points higher vs. lefties than righties (.260 to .212)...Committed 3 errors at shortstop May 30 vs. TEX, matching the club record (5th time, last by Dioner Navarro on June 6, 2009 at NYY)...Went 2-for-4 with a HR and 2B and tied a career high with 4 RBI in the Rays 5-1 win on June 17 vs. FLA...his .414 (12-for-29) career avg. 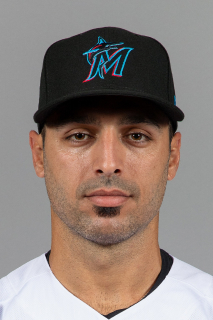 against the Marlins is the Miami native's best vs. an opponent...Led the Rays to a 3-2 walk-off win on Aug 24 vs. DET when he hustled from first base to beat 3B Brandon Inge's throw to second with the bases loaded and 2 out in the 10th...He and Desmond Jennings hit back-to-back homers in the 2nd inning in the Rays 12-0 win on Aug 28 at TOR...was the first time in franchise history the 9th and 1st hitters in the lineup went back-to-back...that HR off Brandon Morrow, the ball clocked in at 118.4 mph off the bat according to the ESPN Home Run Tracker website...this was the fastest speed recorded for any home run hit in the major leagues in 2011...POSTSEASON: Started Games 1, 2 and 4 at shortstop in the ALDS vs. Texas...had a single, 2 walks and scored all 3 runs in the Rays 4-3 loss in Game 4...scored the first run in a bone-jarring collision with Rangers catcher Mike Napoli that dislodged the ball. Played in 118 games, making 93 starts ... startedat seven different positions (78-2B, 4-CF,3-RF, 3-3B, 2-1B, 1-SS, 1-LF), joining teammateBen Zobrist (2009) as the only playersto start at seven positions in Rays history ... heand Zobrist are also the only players in the majorsto do so since NYM Joe McEwing did thesame in 2002cat 25, Sean was the youngestto do it since STL Jose Oquendo did it at age23 in 1987 ... was also the Rays third catcheruntil September call-ups arrived. ... Made his first Opening Day roster and spenthis first full season in the majors after settingclub spring training records in batting average(.460), hits (29) and runs (20) ... also hit 6 homers ... was the Opening Day starter at secondbase. ... Had a career-high 15-game hitting streak fromMay 29.June 15, batting .407 (22-for-54) with3 home runs and 13 RBI during the streak ... tied Aubrey Huff for the 6th-longest hittingstreak in Rays history ... it was the longest bya Ray in 2010. ... Hit 63 points better against left-handed pitching(.292; 35-for-120) than vs. righties (.229;51-for-223). ... Hit in every spot in the lineup except cleanup. ... Collected nearly half his home runs (4) and RBI(17) in the month of June, while hitting .295(26-for-88) ... on May 29 entered the game forthe injured Jason Bartlett, who was placed onthe DL ... his 15-game hitting streak began thatnight ... between June 5 and the All-Star break,he started at 2B in 29 of 33 games. ... On June 1 at TOR he delivered a 2-out, 3-rundouble off closer Kevin Gregg to cap a 4-run9th and give the Rays a 7-6 win. ... On Sep 1 vs. TOR went 3-for-3, a double shortof the cycle, and stole his 11th base ... all 3 ofhis hits came off Shaun Marcum, giving him 6consecutive hits vs. Marcum, 5 for extra bases ... missed a chance to complete the cyclewhen he was intentionally walked in his finalplate appearance. ... Was hit by a pitch 8 times, most on the team ... recorded 7 bunt singles, tied with Ben Zobristfor the team lead and tied for 6th in the AL. ... Hit .513 (20-for-39) on the first pitch, 4th bestin the AL and the 4th highest in club history. Was acquired by the Rays as the player to benamed on Sep 1 as part of the Scott Kazmirtrade on Aug 28...spent the majority of theseason in Triple-A (Salt Lake and Durham)and played in 12 major league games over twostints with the Angels...Combined to hit .294 (113-for-385) in the minorswith 30 HR, 98 RBI, 87 R, 9 SB, 55 BB,.397 OBP and .608 SLG in 108 games...rankedtied for 7th among all minor leaguers in homeruns...ranked 3rd among full-season minorleaguers in slugging...including the majors, hit32 homers with 102 RBI, both career highs...Among all Triple-A players ranked 2nd in sluggingpct., tied for 2nd in HR, tied for 4th in RBIand 5th in runs scored...in the Pacific CoastLeague, finished 2nd in HR (29), 4th in RBI(93), 5th in OBP (.400), 2nd in SLG (.616) and2nd in AB/HR ratio (12.59)...in the Angels org.,ranked 1st in HR and RBI and 10th in battingavg. (.299)...Was recalled from Salt Lake on June 13 (toreplace the injured Howie Kendrick) and optionedon July 3 when Kendrick returned...played in 9 games (4 starts) during thisstretch...recalled on July 31 and optioned Aug5, appearing in 3 games in between...Homered in his final big league game of theseason, Aug 2 at MIN, a 2-run homer off GlenPerkins...had 3 RBI in that game, tying hiscareer high...was optioned back to Salt Lakeon Aug 4...For the Angels, played in 5 games (4 starts) at2B, 3 in LF (2 starts), 2 in CF and 2 in RF...Played six different positions in the minors plusDH...played in 78 games at second base and19 at shortstop...also appeared at third baseand all three outfield positions...for Durham,played at 2B (3 games) and 3B (2)...Had 4 two-homer games for Salt Lake...in thelast one, Aug 12 vs. Nashville (Brewers), went4-for-4 with 7 RBI and 3 runs scored...on May16 vs. Iowa (Cubs), went 5-for-5 with 2 HR and5 RBI...was named the Angels minor leaguePlayer of the Month for May...hit .330 (35-for-106) with 12-HR and 35 RBI...Played in 7 postseason games as the Bullswon the IL championship...hit .273 with 5 RBIand 6 BB. One of key rookie contributors for Angels who saw significant playing time due to injuries among infielders...Had five tints with Angels in 2008...Opened season at triple-A Salt Lake...Batted .306 (76/248) with 68 runs scored, 19 doubles, 21 HRs and 52 RBI in 66 games with Bees...Named Angels' Organizational Player of Month for July (.340; 35/103, 31 runs, 9 doubles, 1 triple, 10 HR, 26 RBI in 26 games)...With Angels, batted .204 (34/167) with eight doubles, one triple, three home runs and 10 RBI in 59 games (47 starts)...Made 45 starts at second base and two starts at shortstop, committing just two errors...Angels were 33-14 in his starts...Collected third HR of MLB career Sept. 21 at Texas...Three RBI in game marked career-high...Logged 55 strikeouts in 167 at-bats (1/3.0 AB)...Made first Major League start and appearance April 19 vs. Seattle...Singled in 6th inning off Jarrod Washburn for first ML hit...Collected first career home run June 1 vs. Toronto (2-run off AJ Burnett)...Collected first Major League RBI with double in 5th inning, May 22 at Toronto. February 18, 2019 2B Sean Rodriguez assigned to Lehigh Valley IronPigs. February 8, 2019 Philadelphia Phillies signed free agent 2B Sean Rodriguez to a minor league contract and invited him to spring training. September 1, 2018 Pittsburgh Pirates released 2B Sean Rodriguez. August 29, 2018 Pittsburgh Pirates designated 2B Sean Rodriguez for assignment. August 24, 2018 Pittsburgh Pirates activated 2B Sean Rodriguez from the 10-day disabled list. August 7, 2018 Pittsburgh Pirates placed 2B Sean Rodriguez on the 10-day disabled list retroactive to August 6, 2018. Left abdomen strain. July 20, 2018 Pittsburgh Pirates activated 2B Sean Rodriguez from the 10-day disabled list. July 12, 2018 Pittsburgh Pirates sent 2B Sean Rodriguez on a rehab assignment to Indianapolis Indians. July 9, 2018 Pittsburgh Pirates sent 2B Sean Rodriguez on a rehab assignment to Altoona Curve. July 9, 2018 Sean Rodriguez assigned to Bradenton Marauders from Pittsburgh Pirates. July 9, 2018 Pittsburgh Pirates sent 2B Sean Rodriguez on a rehab assignment to Bradenton Marauders. July 2, 2018 Pittsburgh Pirates sent 2B Sean Rodriguez on a rehab assignment to Indianapolis Indians. June 27, 2018 Pittsburgh Pirates placed 2B Sean Rodriguez on the 10-day disabled list retroactive to June 25, 2018. Right quadriceps strain. August 5, 2017 Atlanta Braves traded Sean Rodriguez to Pittsburgh Pirates for 3B Connor Joe. August 5, 2017 Pittsburgh Pirates activated 2B Sean Rodriguez. July 17, 2017 Atlanta Braves activated 1B Sean Rodriguez from the 60-day disabled list. July 13, 2017 Atlanta Braves sent LF Sean Rodriguez on a rehab assignment to Gwinnett Braves. July 10, 2017 Atlanta Braves sent LF Sean Rodriguez on a rehab assignment to Mississippi Braves. July 7, 2017 Atlanta Braves sent 2B Sean Rodriguez on a rehab assignment to Gwinnett Braves. July 4, 2017 Atlanta Braves sent 2B Sean Rodriguez on a rehab assignment to Rome Braves. July 1, 2017 Atlanta Braves sent 2B Sean Rodriguez on a rehab assignment to GCL Braves. November 30, 2016 Atlanta Braves signed free agent 1B Sean Rodriguez. November 3, 2016 1B Sean Rodriguez elected free agency. December 17, 2015 Pittsburgh Pirates signed free agent 1B Sean Rodriguez. November 2, 2015 1B Sean Rodriguez elected free agency. December 1, 2014 Tampa Bay Rays traded 1B Sean Rodriguez to Pittsburgh Pirates for Player To Be Named Later and cash. November 26, 2014 Tampa Bay Rays designated 2B Sean Rodriguez for assignment. April 4, 2014 Tampa Bay Rays activated 2B Sean Rodriguez from the paternity list. April 3, 2014 Tampa Bay Rays placed LF Sean Rodriguez on the paternity list. September 15, 2012 Tampa Bay Rays activated LF Sean Rodriguez from the 15-day disabled list. August 31, 2012 Tampa Bay Rays recalled Sean Rodriguez from Durham Bulls. August 31, 2012 Tampa Bay Rays placed SS Sean Rodriguez on the 15-day disabled list. Right hand fracture. August 24, 2012 Sean Rodriguez roster status changed by Durham Bulls. August 21, 2012 Tampa Bay Rays optioned SS Sean Rodriguez to Durham Bulls. October 19, 2009 Sean Rodriguez roster status changed by Tampa Bay Rays. September 2, 2009 Sean Rodriguez assigned to Durham Bulls from Tampa Bay Rays. September 1, 2009 Los Angeles Angels traded 2B Sean Rodriguez to Tampa Bay Rays. August 5, 2009 Los Angeles Angels optioned Sean Rodriguez to Salt Lake Bees. July 31, 2009 Los Angeles Angels recalled 2B Sean Rodriguez from Salt Lake Bees. July 4, 2009 Los Angeles Angels optioned Sean Rodriguez to Salt Lake Bees. June 13, 2009 Los Angeles Angels recalled Sean Rodriguez from Salt Lake Bees. July 23, 2008 2B Sean Rodriguez assigned to Salt Lake Bees.